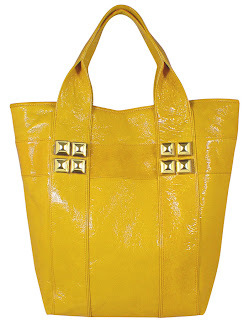 I adore this bright yellow tote. The yellow adds an unexpected but cheerful pop to my outfits. This is my favorite tote to travel with as it is the perfect size for magazines and reading materials. 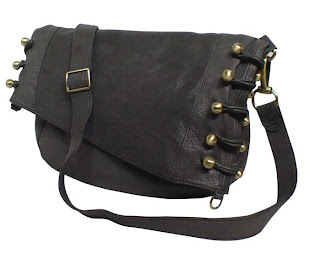 I like to wear this messenger bag when I'm in a sporty mood. The asymmetrical flap and brass balls give it a slight bohemian twist, but the lines are still sleek and modern. 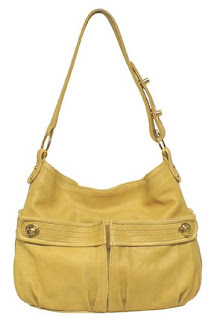 This is a great everyday purse. The 2 pockets in front are very handy for frequently accessed items like my lip balm and cell phone. It's also big enough to lug all my everyday crap.